Reliance Industries are said to be all set for the deployment of 4G network in India as last month the company had announced that Nagpur would be a hub for its 4G operations and now news is coming that the company is going to have a test run in Jamnagar next month. While a spokesperson from Reliance refused to comment on the topic, the company will be using LTE technology for the deployment of 4G nationwide. The company is already in talks with various telecom equipment makers including Huawei which holds 50% of the world’s market share for LTE equipment, ZTE and Alcatel Lucent for network rollout and consumer devices. This does sound exciting, but the whole issue here is that the auctions for 4G spectrum are not yet complete and it is being said that the Government might not be able to complete the auctions in the next fiscal. 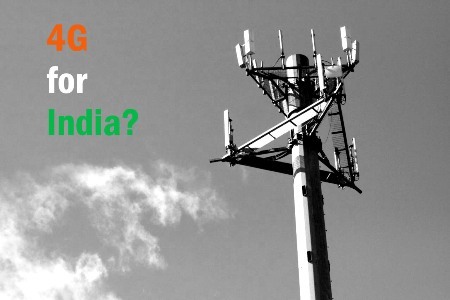 Some experts also say that the upcoming new 2G auctions would see 4G auctions getting pushed to mid-next year. Which means the earlier plans of Broadband Wireless operators’ plan to roll out 4G services by mid-2012 will be postponed yet again. Let’s hope 4G gets to see the green light in India soon.